Ya gotta admit, the “street view” function on Google Maps is pretty amazing. Once you become adept at working it, you can find all sorts of things. I went back and found places from my past. Some of these elicited great memories; others, not so much. Life is like that, you know. 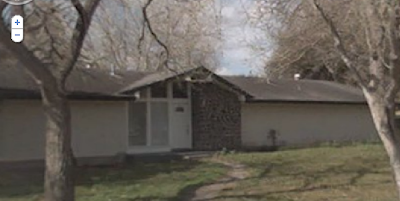 Here’s the house we lived in back in the sixties. 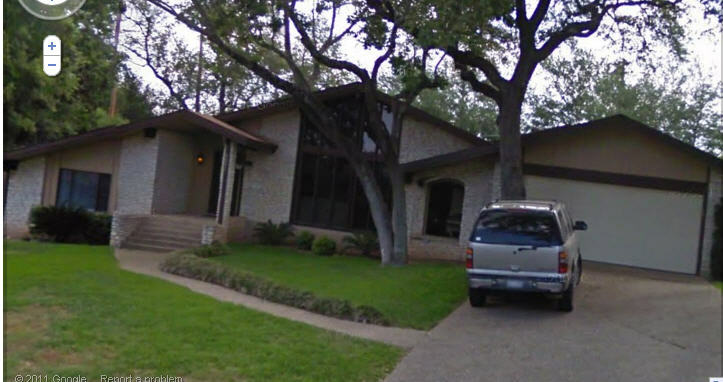 I loved this house. It had a sunken living room with dark blue carpet. 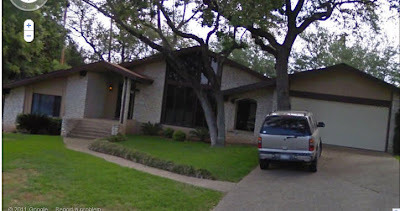 One of my Facebook friends from childhood knows the people that live in this house and she’s going to contact them to see if they’ll let me come over for a visit when I go down to Texas in a couple of weeks. How cool is that? Here’s an areal view of the lake that was on our family property. 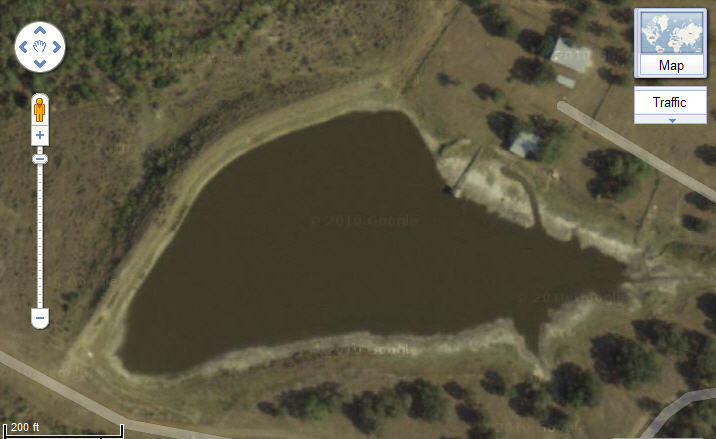 It’s pretty much dried up now, but back in the late sixties we had a boat and would actually go water skiing on this lake. Well actually, I went skiing once and it scared me to death. Imagine a shy, skinny nine-year-old flailing behind a boat at five hundred miles per hour. It was not pretty. I remember watching Neal Armstrong walk on the moon in the house you see next to the lake, drinking this new drink called GatorAide and listening to Simon & Garfunkel a lot. My first cousin-once-removed now owns the place. Here’s the dorm where I lived in college. Butler Hall was the first co-ed dorm on campus; boys in one wing, girls in the other. But we shared a common lobby and laundry room which was so radical for 1978. I was an R.A. in this dorm and lived on the first floor which was partially underground, like a cave. 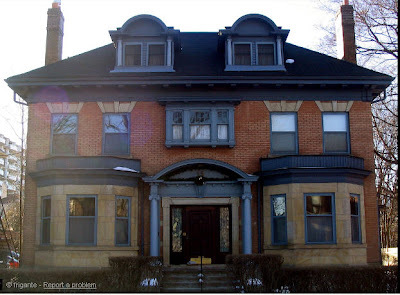 The first floor of Butler Hall was known as “The Pharmacy”, evidencing the fact that I was quite useless as an R.A.
Here’s the house in Toronto where I lived when I was a seminarian. Let’s just say there was a whole lotta dysfunction going on in this house and leave it at that. My room was on the tippy top on the left. See my window? And yes, I Google-stalked my ex. He now owns a big house in a fancy neighborhood. You see, when he broke up with me 24 years ago, his life should have spiraled downhill and he should be homeless and penniless now – not owning a house like this. Google-stalking your ex from 24 years ago. How sad is that? Don’t any of you dare say you haven’t done it. ....but you've given me the idea!